Gardeners in the Buckeye State can grow many kinds of vegetables, as long as they take into consideration the state’s varying topography and climate. The foothills of the Appalachian Mountains to the south, Lake Erie to the north, and Canadian weather fronts that sweep through all affect Ohio’s growing season. But some regions experience, on average, up to 200 days without killing frosts, providing ample time for most vegetable cultivation. Pole, bush and lima beans are all frequently grown in Ohio. Bush beans take at least 50 days to mature, and pole and lima beans up to 75 days. Even the northeast portion of the state, which features the least number of frost-free growing days at 140, is still adequate for growing beans. Beans don’t enjoy growing in continuously wet soil, so areas that receive more moisture or tend to flood, like the flat lands around the Blanchard River, may not be as suitable. Tomatoes take between 70 and 85 days to mature but are plentiful producers, making them ideal Ohio vegetable crops. They should be staked or caged to withstand stiff breezes and because of their increased weight as they grow. 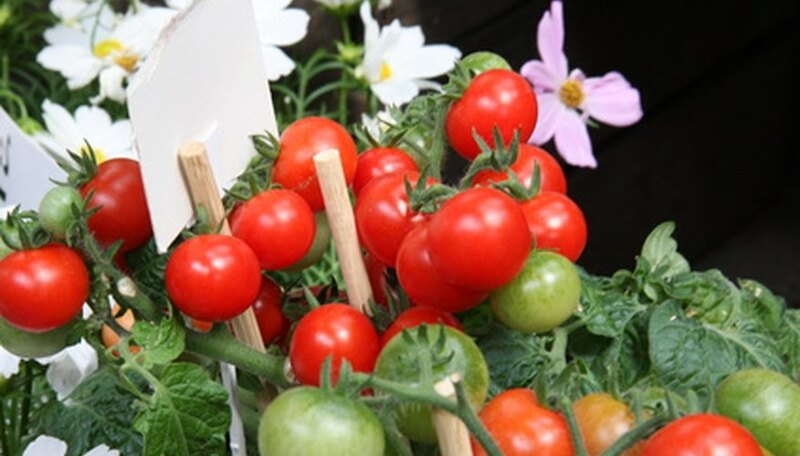 Tomato plants enjoy at least 7 hours of daily sun and well-drained soil. North-facing hills and elevated, open areas in Ohio are best for planting tomatoes. A a cool-season root vegetable, carrots are hardy enough to flourish in Ohio in spring or fall, when the temperature remains below 70 degrees F. Carrots do not tolerate highly acidic soil, as some Ohio soils can be. High in fiber and vitamin A, carrots can withstand hot sun but do best when planted in early spring. Give them plenty of room to grow to their full potential by pulling some plants as they mature. Squash, including varieties like yellow squash and zucchini, is fast-growing, taking only about 55 days to be ready for picking. Squash likes regular watering but does not enjoy constant moisture. Even light frosts can kill squash plants, so planting should not occur until the soil has warmed to 68 degrees F. Harvest fruit before it gets bigger than 2 inches in diameter and seeds and rinds toughen. Mulching plants can help retain moisture and protect the shallow roots. Even though peppers are tropical, they can flourish during Ohio’s warm summers. Because of their origin, they are more sensitive to cooler temperatures, like those of the southern Ohio valleys. Peppers take between 65 and 80 days to mature, but unlike tomatoes they are strong enough to withstand Ohio’s windswept landscape and other hazards on their own. They grow best in fertile, well-drained soil that is consistently moist, particularly during bloom time.